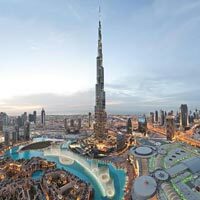 Guide Tips And Any Other Item Except "Package Rates Includes"
Welcome to Dubai, one of the most unique, and vibrant destinations in the world! In a single day, you can experience everything from rugged mountains and awe-inspiring sand dunes to sandy beaches and lush green parks, from dusty villages to luxurious residential districts and from ancient houses with wind towers to ultra-modern shopping malls. 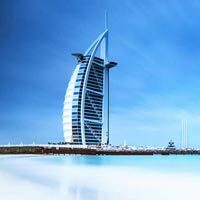 On arrival in Dubai, you will be met and transferred to your hotel. In the evening, Enjoy the delicious taste of true Arabian hospitality on a Dhow Cruise. A sumptuous dinner is served whilst you cruise along in a traditional Arabic Dhow that glides silently along the creek of Dubai under a starry and moonlit sky. Admire the architecture of places such as the Dubai Creek Golf and Yacht Club, the spectacular Chamber of Commerce building and also Sheikh Saied~s house, the birthplace of Sheikh Rashid. Stay overnight at the hotel. Breakfast at the hotel. 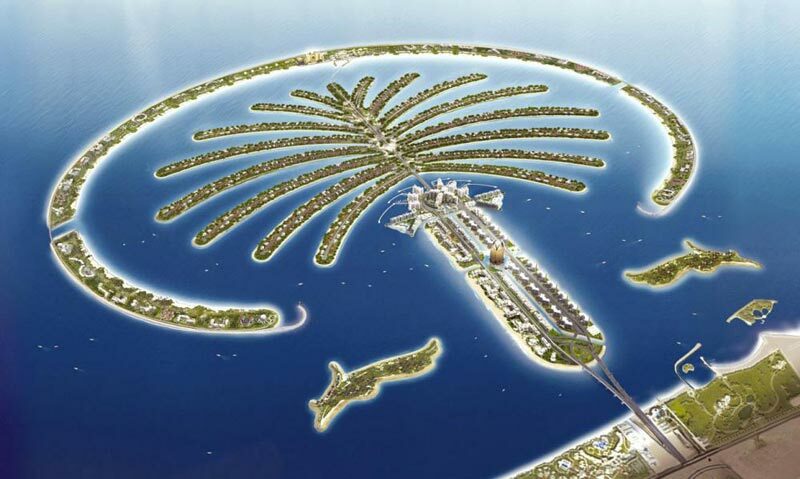 After breakfast proceed for the Dubai city tour which includes visit to Palm Island, Marina of Jumeirah, Mall of Emirates, Burj Dubai, Emirates tower, Rulers palace, Sheikh Zayed road, Zabeel palace, Jumeirah mosque and beach, Al Fahidi street, Dubai skyline, Dubai Museum and Ski Dubai. Also visit the Old city, Bastakia, - the Wind towers, Spice souk, Gold Souk. Rest of the day is free at leisure on your own. Stay overnight at the hotel. Breakfast at the hotel. Rest of the day is free for leisure on your own. Later in the afternoon, take a drive of your lifetime, as you proceed on a Desert Safari tour. Drive in a 4x4 to the interiors of the desert, experiencing the unique thrills of a roller-coaster ride over the sand dunes. The tour takes a break at the sand dune to take in the breathtaking beauty of the setting sun. You can take camel rides, enjoy a Sheesha, feast on a true Arabic BBQ dinner, and scintillate your senses by watching belly dancing, a fascinating dance choreographed to the beats of Arabic music. Stay overnight at the hotel. Breakfast at the hotel. 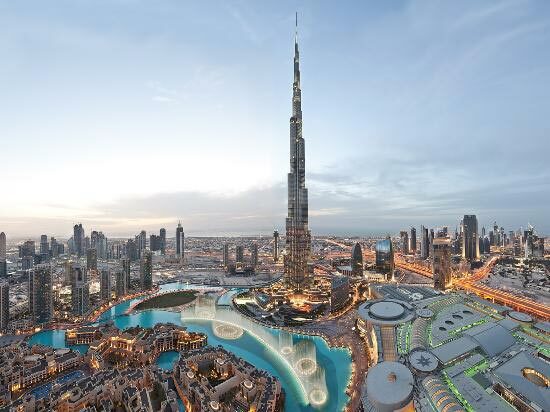 Today pick up from the hotel and proceed to visit the Burj Khalifa, the highest and the manmade structure in Dubai. Rest of the day is free for leisure on your own. Stay overnight at the hotel. 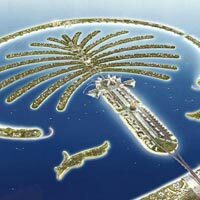 After breakfast check out and on time transfer to Dubai Airport to board the flight for Home/onward destination. The price quoted are net & non commissionable. No refund will be paid for unutilized services. All confirmations will be subject to availability of accommodation. Breakfast timings in Indian Hotels are between 0700 hours – 1000 hours. In case of any amendment in local Government taxes, currency fluctuations, and any fuel hike, India Tour and Vacations reserves the right to adjust the tour price accordingly. For Wildlife Safari bookings, India Tour and Vacations will need complete passport details like Names along-with date of birth of the guests as per passport at least 90 days in advance to block safari bookings; the booking is non-refundable & non-transferable. Schedules/ routes/ safari vehicles are allocated by the Department of forest policy - Government of India and are subject to change. Safari has limited seats which are subject to availability on first come first serve basis. Rates include only those items specified in the itinerary. Identity ID – Travel documents i.e. Passport that guest will be carrying to identify him / her at the time of check-in. India Tour and Vacations will require rooming list 45 days prior to date of travel with complete details like name of the guest along with passport details and date of birth(In case of Group). If there are any specific requirements related to meal, hotel room, Twin/Double bed, the same should be raised at the time of booking and India Tour and Vacations will try to get the confirmation from the respective supplier subject to availability. A 25% non-refundable deposit/ advance will be required against the tour package cost to process & guarantee the tour arrangements. Balance final payment will need to be made by 60 days prior to date of departure. In case balance payment (in case of initial deposit/ advances) is not made in time, booking will get cancelled and advance/ deposit paid will be forfeited automatically. All services & rates will be subject to availability after this date. Notice of cancellation must be made in writing to India Tour and Vacations at contact@indiatourandvacations.com. Cancellation charges would be effective from the date we receive letter in writing. In case of cancellation of tour / travel services after the booking is made with us - a minimum 10% service charge would be applicable or any advance fee paid to any of the suppliers. 90 days to 61 days prior to arrival – 20% of the tour/service cost. 60 days to 31 days prior to arrival - 50% of the tour/service cost. 30 days or less prior to arrival or no show - NO REFUND. Please note that if booking for following period is/are cancelled, due to whatsoever reason, no refund would be made for said cancellation. High Peak Season bookings (from 20th Dec to 15th Jan). Festival Period Bookings (Festivals like -Diwali, Duseera, Holi, Pushkar fair etc ). In case of group bookings 10% the rooms may be released up to 90 days prior to date of arrival without any retention charges. However any further wash down/ reduction in room allocation would be treated as a cancellation and above mentioned cancellation policy will be applied. India Tour and Vacations will try to give accurate information in the tour itinerary to the guests based on data available however tour itinerary may change as a result of local situation and circumstances; and company has right to amend the itinerary/reverse the itinerary or exclude the destination keeping in mind comfort & security of the guests. However in case of any major change India Tour and Vacations will try its best to inform well in advance to enable/ advise the guests accordingly in time before departure. Company reserves the right to cancel the tour due to any Force majeure situations and company will not liable to pay any compensation. Force majeure comes under all unusual and unforeseeable circumstances beyond the control of India Tour and Vacations or its suppliers, the consequence of which neither the organization nor its suppliers could avoid even with all due care, including, but not limited to, war, threat of war, riot, civil strife, terrorist activity (actual or threatened), industrial dispute, unavoidable technical problems with transport, machinery or equipment, power failure, changes imposed by rescheduling or cancellation of flights by an airline, natural or nuclear disaster, fire, flood, drought, earthquake, adverse weather conditions, epidemics or outbreaks of illness and level of water in rivers etc. All arrangements for accommodation, transportation, transfers and sightseeing will be made by India Tour and Vacations as agent for the passenger upon the express condition that India Tour and Vacations shall not be held liable for any injury, damage, loss, accident or irregularity which may be caused by any company or person employed in the operation of the tour. Any dispute or claim shall be governed by, and construed in accordance with, the laws of New Delhi and the parties shall submit to the exclusive jurisdiction of the courts in New Delhi.